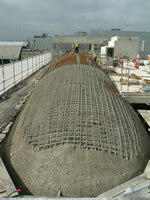 As sprayed concrete technologies have advanced, so have its uses. 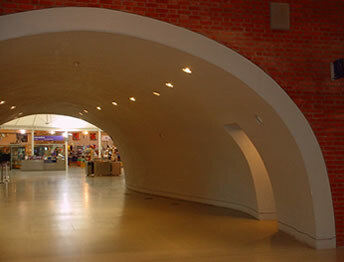 Shotcrete Services has built a number of structural buildings using reinforced sprayed concrete. 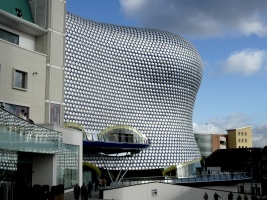 The largest of these being the Selfridges Building in Birmingham & the Darwin Cocoon at the Natural History Museum. Both these buildings utilized structural reinforcing and C40 sprayed concrete to meet the structural design loadings. 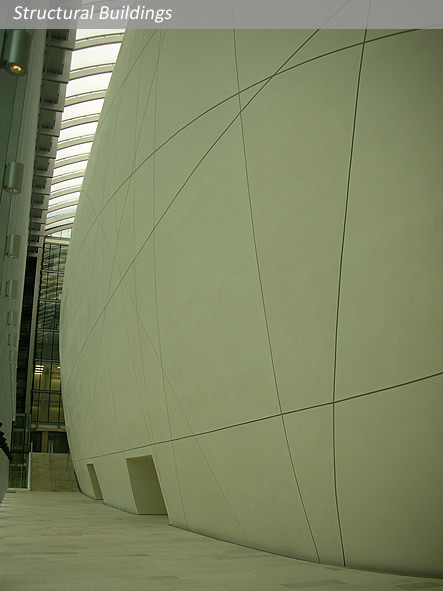 The multi-curved nature of both buildings excluded the use of traditional cast concrete due to excessive shuttering costs. Shotcrete Services has developed a technique using a ‘lost shutter’ system that enables the 200 -300mm thick walls to be constructed without the use of formwork. The Company has also constructed a number of Gurdwara temple domes & barrel vaults for the Sikh Community. Often these utilize white sprayed concrete to eliminate finishing costs.